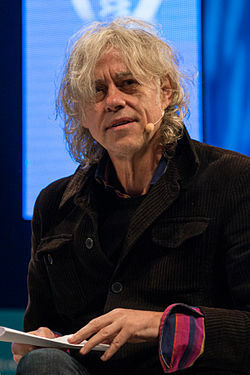 The Battle of the Thames developed with Bob Geldof , the Irish singer and political activist, decided to attack Nigel Farage to support surrendering British sovereignty to Brussels. It turned out to be a real joke. Rich musicians always pretend to be for the poor but do not hand them all their wealth. As long as they advocate that other people should surrender their earnings, well, that is good form. Of course, Geldof may be an over-the-hill song writer, but he knows absolutely nothing about economics and what is at stake in Europe. It is a shame people like this try to influence others, yet are clueless about the agenda they pretend to support mindlessly. It would be rather absurd if I tried to be an actor, no less a singer, but singers and actors pretend to be economists all the time.